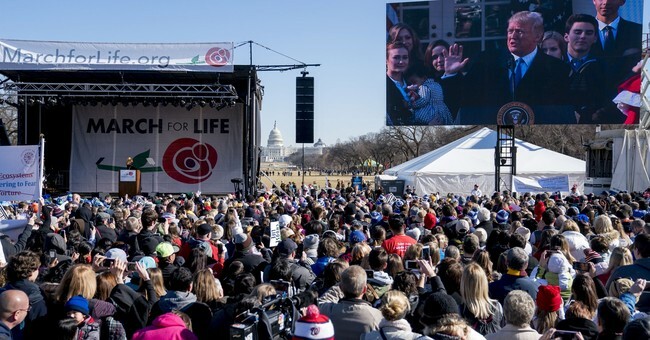 Just in time for the March for Life, Regnery has gathered together five books that explore abortion, euthanasia, the dignity of life, and abortion alternatives! Read on to discover books that will strengthen your convictions and provide you with the courage and facts you need to combat the Culture of Death. Investigative journalists Ann McElhinney and Phelim McAleer expose abortion doctor Kermit Gosnell and his house of horrors. Gosnell: The Untold Story of America’s Most Prolific Serial Killer explores Gosnell’s crimes, the many ways in which the Philadelphia judicial system sought to cover up the atrocities happening in Gosnell’s clinic, and Gosnell’s trial and sentencing. Hard-hitting reporting, horrifying facts, and satisfying justice; Gosnell’s story is a horrifying awakening to the realities of abortion. Conservative Christians admit that they do not speak out on political or cultural issues because they do not know how to support their beliefs from a biblical basis, according to a recent poll. Instead, they remain silent on critical issues like abortion, euthanasia, marriage, and racism because they feel uninformed and ill-equipped to defend their beliefs. Do you believe human life is inherently valuable? Unfortunately, in the secularized age of state-sanctioned euthanasia and abortion-on-demand, many are losing faith in the simple value of human life. To the disillusioned, human beings are a cosmic accident whose intrinsic value is worth no more than other animals. The Death of Humanity explores our culture's declining respect for the sanctity of human life, drawing on philosophy and history to reveal the dark road ahead for society if we lose our faith in human life. He presided over 61,000 abortions—one of which was suffered by his then-girlfriend—and directed the largest abortion clinic in the world. He had helped to legalize abortion in the first place. One day, he had a change of heart. One day, he found God. At the drop of a hat, an abortion doctor renounced his profession—and his atheism—for pro-life advocacy and Christianity. In the most shocking revelations ever expressed in an autobiography, one man unveils his entire life story, detailing countless events—from his gruesome abortion procedures to his conversion and involvement in The Silent Scream. Discover one man’s incredible journey from death to life in Bernard Nathanson’s The Hand of God. There is a dramatically beautiful solution to abortion: ADOPTION – and the history of adoption is the history of the world itself. Children taken in by new families have grown up to dramatically reshape the world in ways most of us do not fully appreciate.Chosen for Greatness profiles sixteen well-known adoptees who were given the opportunity to change history for the better when they were taken in by their new families. Their contributions and accomplishments span the spectrum from science to sports, religion to entertainment, technology to politics. These adoptees didn't accomplish what they did in spite of being adopted; rather, it was their adoption that played a positive and critical role on the road to their success. This unique book is an inspiration for the hundreds of thousands of US families who adopt each year and will forever change the way everyone understands the incredible global tradition of adoption. With a foreword by Eric Metaxas and an afterword by Larry King.